Like fellow linguistic genius Tupac Shakur, British fantasy author and philologist J.R.R. Tolkien continues to release new material well after his death. In fact, his newest book, Beren And Lúthien, is scheduled to be published 44 years after he succumbed to rheumatic fever at the age of 81, and a full century after it was originally penned. 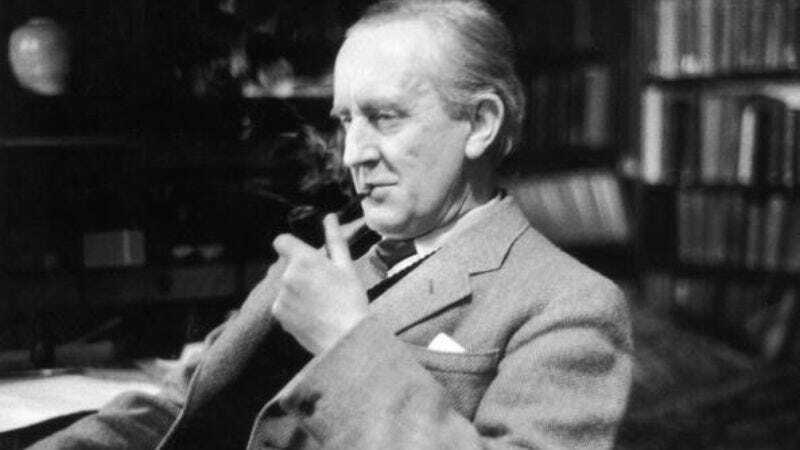 Though the story went through a number of permutations over the years, as it became incorporated into the ever-evolving Middle-earth mythos that dominated Tolkien’s writing career, it remained at its heart an epic romance and a love letter to his wife Edith. As the tale goes, the mortal human Beren comes across the half-elven/half-divine princess Lúthien dancing in a glade and falls immediately in love. She in time reciprocates the feelings, but then her cranky human-disliking father King Thingol sends them both on a near-impossible quest to steal a brilliant cosmically powerful jewel from the the Dark Lord Morgoth, who is essentially the living embodiment of evil if an immortal god can be considered “living.” Long story short, stuff happens, a werewolf gets slain by a hound, and both Beren and Lúthien end up dead. Very romantic. The story—which has already been published in varying forms in The Book Of Lost Tales and The Silmarillion, besides serving as the thematic backbone of the relationship between Aragorn and Arwen in The Lord Of The Rings—draws heavily from the Welsh folktale Culhwch And Olwen, as well as from Tolkien’s own romantic life. It’s believed that the characters’ initial meeting was inspired by an incident in which his future wife danced for the would-be poet in a glade with flowering hemlocks. It is also speculated that Edith’s father disapproved of her relationship with Tolkien due to his Catholicism. The tombstone above the couple’s final resting place actually bears the names of the two characters. Beren And Lúthien is being editing by their son Christopher Tolkien and is set to be published in May 2017.